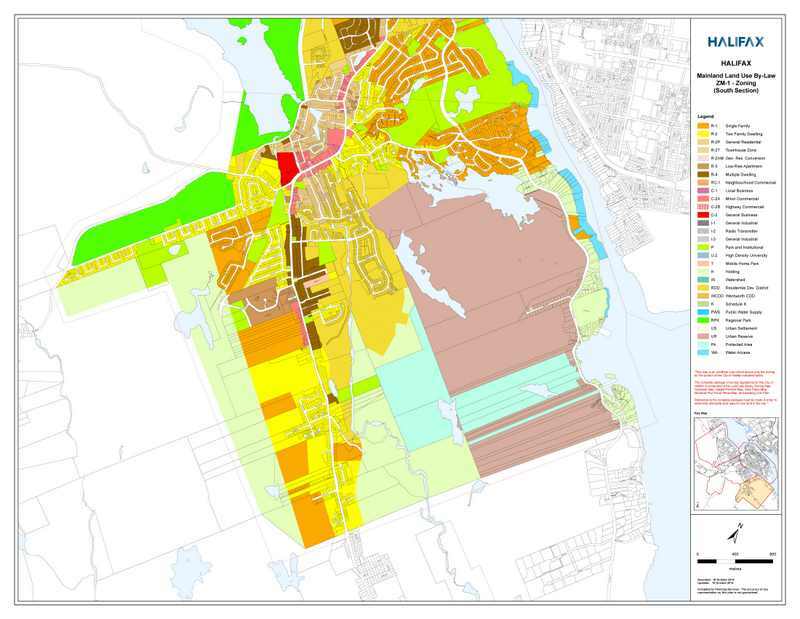 "This map is an unofficial copy which shows only the zoning for the portion of the City of Halifax indicated". We thank Kevin Gray, Masters in Urban Planning (2005), for this trail map. Property boundaries for the Clayton Developments and Armco lands have been added. (Note: more recent trails are missing from this map). Want to add some variety to your daily walk around the Frog Pond? RATA, a newly incorporated community group has worked with HRM to build such a trail for you and it’s ready for you to try out now. Look for the white marker stones marking the trail head, directly across the road from the existing parking lot on Purcell's Cove Road. This ‘low impact’ trail provides a comfortable 'roots and rocks' surface. It passes through the Sir Sandford Fleming Park land on the west side of Purcells Cove Road, opposite the Frog Pond and extends into the Williams Lake Road lands, emerging finally at the Ravenscraig sports field. 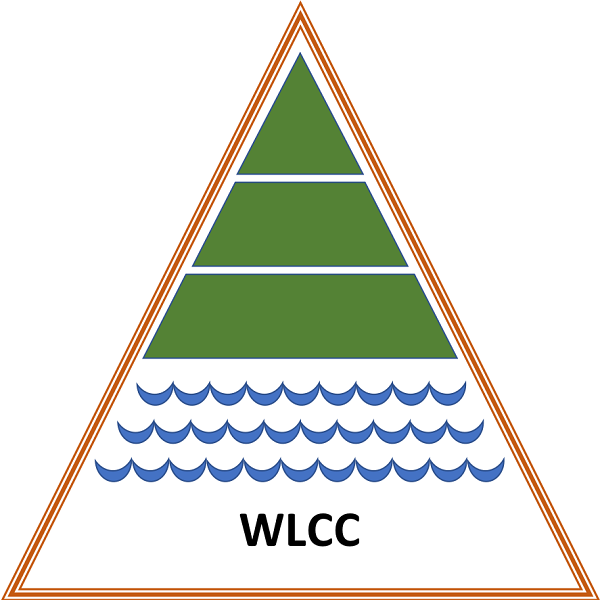 These lands are in three watersheds: Williams Lake, Whimsical Lake and the Frog Pond. 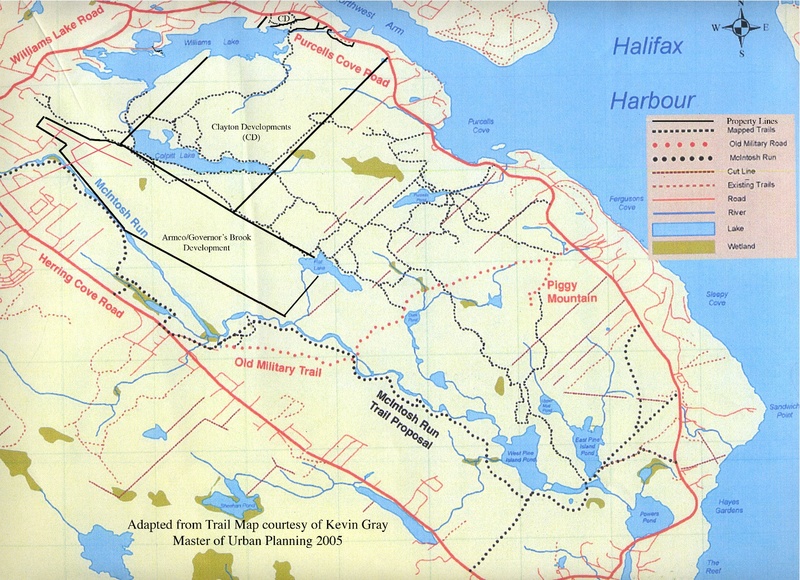 The trail meanders from the Purcell’s Cove Road to connect to the trails within the Ravenscraig development (as shown on the accompanying map). Adding this route to your daily walk, you’ll encounter protected forest canopy, interesting geological features, a variety of vegetation, glacial "erratics" (giant boulders left behind at the end of the last ice age), and '360 degree' views from the high barrens. 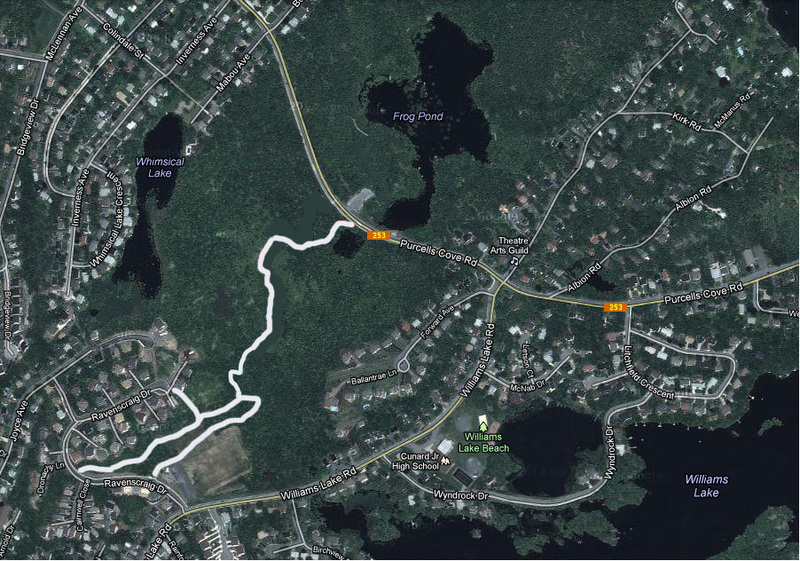 The idea for this trail originated as part of the Community Planning Process for the Fleming Park/Williams Lake Road lands. The Plan also includes other minor connecting trails, and a primary Active Transportation trail suitable for bikes and carriages.